Hi friends!Lassi is an age-old Indian drink from Punjab, which is generally consumed after a meal. But there’s more to lassi than being just another refreshing summer drink. 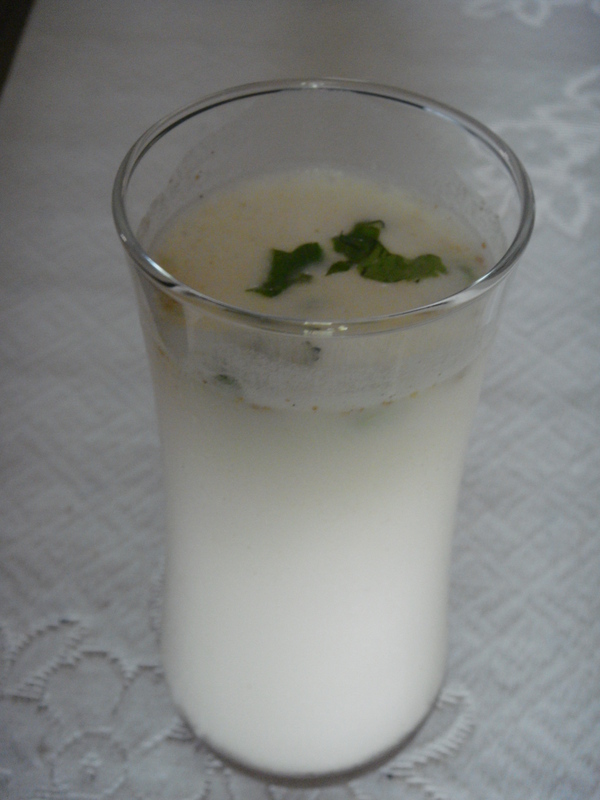 The importance of lassi is due to its health benefits. Serve right away, garnished with a couple of mint leaves. Refrigerate to store, serve always chilled. Note: Curd or dahi, is a popular food item in India, all over the country. Made from milk, this dairy product has a lot of health benefits. The nutrients present in curd are easily absorbed by our digestive system. Not only that, it also helps in absorbing nutrients from other food items that we have eaten. It can also be used along with spicy food, as curd cools down and neutralizes the heat that these foods create. A bowl of fresh curd and fruits is a great way to start your day. Add sour curd to salads and smoothies, which make it taste better. Sour curd is added to vegetable curries instead of tomatoes to make it rich and delicious. Curd is rich in vitamin D which helps our body to absorb and use calcium. Yogurt helps you feel fuller and is thus, a very good snack for those trying to lose weight.